Our business is pre-deployment medicine. We are experts in the current medical requirements necessary to clear medical at Fort Bliss. We pride ourselves in fast, accurate, and professional service. We accomplish this with the latest technology, ethical behavior, and diligent practices. We maintain a very clean and comfortable facility. We encourage visitation by all companies at any time. We are able to perform an assessment of the contractor's deployability prior to their arrival at Fort Bliss to reduce costs of delays. Results are screened to ensure necessary requirements are met; a case manager works individually with clients that have abnormal results. The contractor simply goes to any Labcorp or Quest lab in the country for their labs and fills out a preliminary online form that electronically loads into a DD2807 and DD2808 upon arrival. All results go directly to us for review. 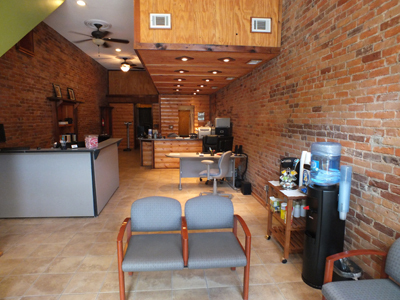 Local in house instant labs are also provided for clients that have arrived on base. Results are hand delivered to CRC Medical and also securely provided by encrypted email. Group accounts are provided secure access to a personalized site to facilitate employee expense reconciliations. Receipts for each contractor are electronically imaged and stored for easy access. A concise report can also be generated in the format needed by each company. Receipts, reports, and other files are accessible online 24 hours a day reducing email and paper clutter. Verification of Employees - Group Billing: All contractors are verified to be employees of a company prior to being placed on group billing. Our pricing meets and beats local competitors. We are lower in cost for most services and offer discounts on overnight labs. Additionally, we offer price breaks when working with those that may need additional or repeated labs. Medical records are pre-screened by our staff according to Fort Bliss and MOD 13 standards in order to avoid delays in deployment. We eliminate items that may be unnecessary and also guide contractors on the best methods on handling issues to help them clear. We have a professional, fully staffed, facility that averages a 30 minute service turnaround. Service is fast, friendly, and accurate reducing time for contractors spent away from necessary classes. Our facility collaborates directly with CRC Medical Case Management staff to ensure we are kept up to date on all requirements at Fort Bliss. We also provide service and lab results on a daily basis to help contractors clear quickly so there are no surprises at the end of the week. All medical records are stored electronically and backed up real time using HIPAA approved methods. ID is checked for every contractor to ensure no personal health information is disclosed or updated without confirming identity. We uphold the highest patient confidentiality and all patient information is sent through an encrypted email system. Phones and email are answered at all times eliminating the hassle of dealing with time zones when questions arise. 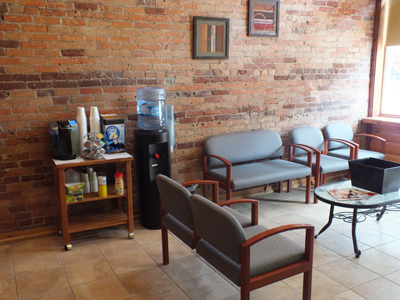 Fresh coffee, tea, cocoa, water, and healthy snacks are complimentary at our facility. We also offer the use of laptops & printers while clients wait. Contact us today for an appointment or more information.